The City of Ember celebrates its 10-year anniversary and tonight we're celebrating all things Jeanne - one of our favorite authors - from her new deluxe edition of City Of Ember, The graphic novel, and the series itself. Description: For Girls ages 8-12 with Mom or other caring adult. Join us for lively discussions, activities and fun! As their city dies, Lina and Doon must race to solve the mystery of Ember and find a way through the darkness. Chicago Public Library discusses The Diamond of Darkhold. Jeanne DuPrau , The People of Sparks. Jeanne DuPrau , The City of Ember. 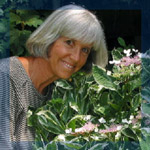 Jeanne DuPrau is currently considered a "single author." If one or more works are by a distinct, homonymous authors, go ahead and split the author. Jeanne DuPrau is composed of 10 names. You can examine and separate out names.